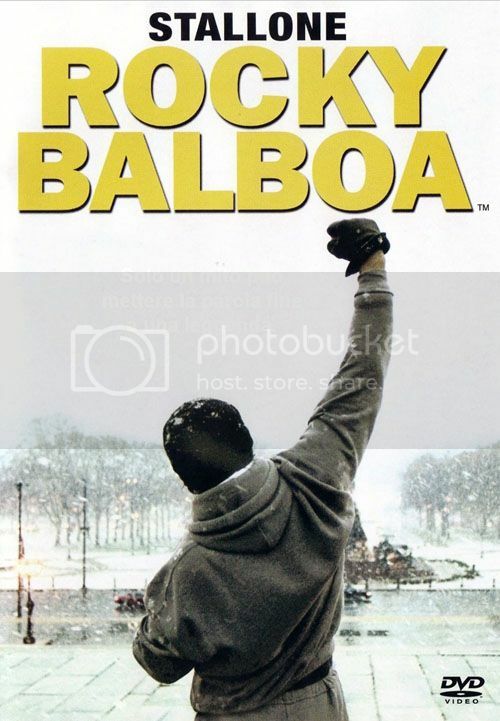 After the debacle that was Rocky V, I was very leery about revisiting a beloved character like Rocky Balboa, because I was nervous that this movie would go even lower than the last one. So when it finally did come out, I was beyond ecstatic with the final results. The Sixth installment harkens back to the glory years of the original Rocky in a lot of ways. This one really is more about character and life, dealing with loss and finding your place in a world that no longer thinks you are viable. There is a great message to be found here about never giving up, and just keep pushing forward, no matter how hard you get hit. The tone of the film as I said is in line with the first one and that means a slow buildup to the epic showdown at the end and I thought the way they handled the fight scenes was pretty damn good. I really liked that the first two rounds was through the eyes of HBO PPV, meaning the same crew that does the fights on HBO presented this fight in the same way as if you were watching a PPV event. But it wouldn't be "Rocky" unless we get those slow motion fight sequences, which we eventually do get. But I also wanted to point out that I thought the way they actually shot the scenes and intercut the flashbacks in the middle of every punch being thrown was a great way to call back characters from years past. It was a nice, fitting way to wrap up one of my all time favorite franchises. I just wish my Grandpa got a chance to see this as he LOVED watching all the other Rocky movies. I own this and have watched it plenty of times so of course I'm going to tell ya this is a definite Buy.